The stand-up game in MMA isn't just about striking. It's about being able to set up your takedowns off strikes. It's about how proficient you are at avoiding the takedown. It's about how well you can fight from the clinch, and how well you can battle while pressed up against the cage. There are so many elements to the stand-up game that at times it seems impossible to keep up, but if you desire to become a true mixed martial artist, that's exactly what you must do. The bottom line is that every time you step into the cage you will have to use different techniques to reach your goal. If your goal is to keep the fight standing, you will not use the same techniques when fighting a powerful wrestler as you would when fighting a fellow striker. If you want the fight on the ground, you'll use different techniques when fighting a powerful striker than you would when fighting a fellow grappler. The only way to tailor your game plan for the array of opponents you can face is to become well versed in all aspects of the stand-up game. To help you with this monumental task, I've organized the Stand-Up Game into sections. 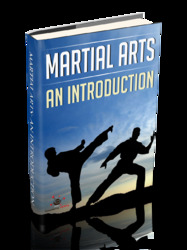 Each section covers a facet critical to the MMA fighter. Whether you are primarily a striker or a grappler, you will find numerous techniques in each section that will help you achieve your goal in nearly any scenario. However, it is important that you study and break down each technique laid out in the upcoming sections, even if they don't suit your style. You'll want to do this because in order to learn how to defend against a certain technique, you must first understand how it is executed. Experimenting with all the techniques will also help you understand the core principles of how techniques need to be blended together to maximize their effectiveness. This book lays out my style, which might not fit you perfectly, but as long as you hold on to the core principles I offer while training and experimenting, it's only a matter of time until you discover what works best for you.